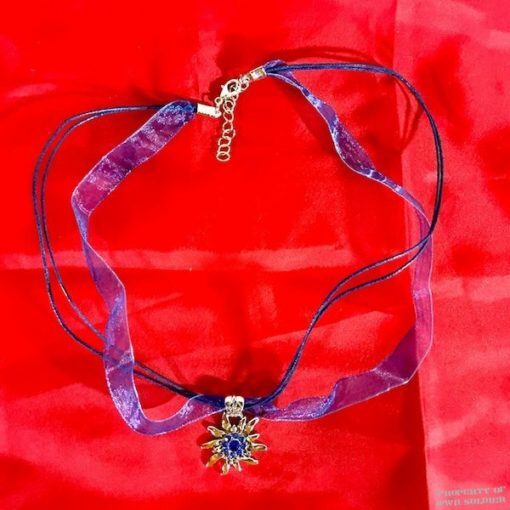 Our Edelweiss Choker has Blue Rhinestones with a Blue Ribbon and Cord Choker. The choker is adjustable from 8 1/2″ to 9 1/2 inches long. This Blue Rhinestone Edelweiss Choker is a perfect accessory for your German / Octoberfest Dirndl Dress. Our Edelweiss Choker has Blue Rhinestones with a Blue Ribbon and Cord Choker. 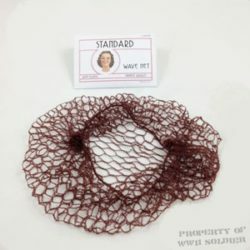 The choker is adjustable from 8 1/2″ to 9 1/2 inches long. 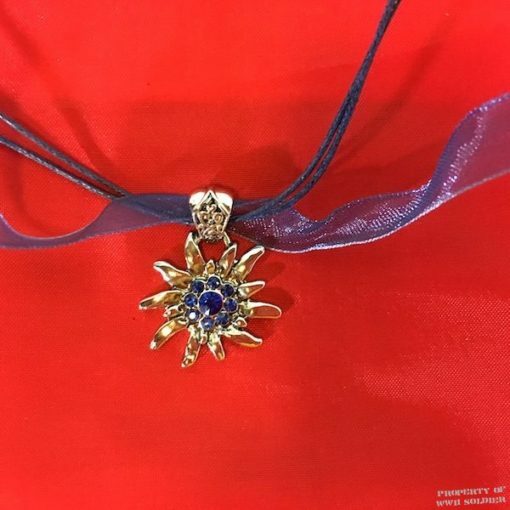 This Blue Rhinestone Edelweiss Choker is a perfect accessory for your German / Octoberfest Dirndl Dress.